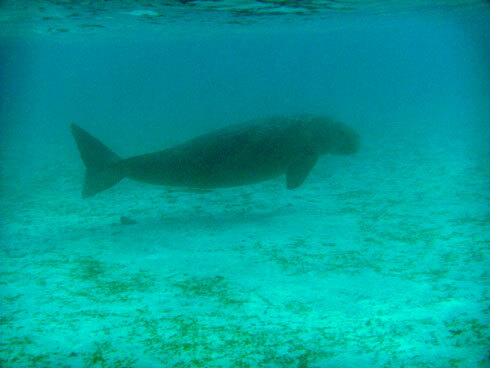 Newsflash: the dugongs are back! Tetepare lagoon previously supported families of dugongs that left the area after a Tsunami ruined the seagrass beds a few years ago. The seagrass has now recovered and dugongs have begun to return to the Marine Protected Area outside the Ecolodge. It may be possible to observe or even snorkel with the dugongs but this activity is strictly controlled and only small groups of less than 3 people can go out at a time with a guide. Please do not touch or chase the dugongs and respect Tetepare’s conservation objectives. A stay at the Tetepare Island Ecolodge can be as adventurous or relaxed as you like. You can unwind on the beach with a book, hike across the island through the pristine rainforest, snorkel among the rich coral reefs of the warm turquoise lagoon, visit old village sites from head hunting days, go bird watching, see endangered sea turtles, or take part in countless other activities. Please be aware that activities – including all that involve the turtles and the dugongs – are subject to regulation by the conservation team on the island. Follow one of the many hiking trails across the island, through Tetepare's primary lowland rainforest - some of the last of its kind in Melanesia. Walks on Tetepare range from 10 minute strolls to strenuous full-day hikes. Take a guide and learn about the plants and animals encountered along the trail. Keep an eye out for the azure kingfishers, magnificent hornbills, flocks of cardinal lorys, coucals, megapodes in the undergrowth, and beautiful orchids. Tetepare's reefs teem with colourful marine life. The coral reefs of this region support one of the highest diversities of fish and coral in the world, second only to Raja Ampat in Indonesia. Bring your mask and snorkel and take a dip in the lagoon among the schools of mighty barracuda, massive bumphead parrotfish, tornadoes of silver jacks, brigades of snapper, feisty little clownfish, green turtles and the myriad colourful reef fish. You can snorkel from the beach in the lagoon, or take a boat trip to some unique snorkelling spots including a sheltered bay brimming with giant clams. A twilight snorkel in the lagoon brings the chance of a very special encounter with one of our resident dugongs as they head into the seagrass meadows to feed. Wildlife watching opportunities are one of the key ecotourism attractions on Tetepare. A dazzling variety of animals make their home in Tetepare's 120 square kilometres of primary lowland rainforest – some of the last of its kind in the Melanesia. A total of 81 bird species, 25 reptile, 6 frog and 13 mammal species have been recorded on Tetepare including several rare and endemic bird and bat species. From October to January, critically endangered leatherback turtles nest on three of Tetepare's volcanic black sand beaches. Camp out on the beach in the hope of watching one of these rare and magnificent creatures lay her eggs. From January to March, the leatherback hatchlings emerge from their nests and make their way down to the sea - a sight that will delight wildlife-lovers. Year-round, green turtles can be seen swimming in the lagoon. They nest on Tetepare beaches from September to December. Afternoon snorkels in the lagoon bring the chance of encountering one of our resident dugongs. A walk through the rainforest with one of our trained guides will reveal an impressive variety of bird life. Night-time brings opportunities to see cuscus, coconut crabs and a huge variety of bats for which the Solomon Islands is famous. For more information on Tetepare's flora and fauna, click here. Take a walk through Tetepare's rainforest with one of our knowledgeable guides in search of the island's fascinating birdlife. A total of 74 bird species have been recorded on the island, including the endemic Tetepare White-eye. Learn how to prepare traditional Solomon Islands cuisine with our local cooks. Prepare a Melanesian feast on the motu (hot rock oven) and then enjoy the fruits of your labour. Tetepare rangers monitor green and hawksbill turtles in the lagoon outside the ecolodge. A turtle count is conducted by boat each fortnight and on alternate weeks, turtles are captured and tagged using the rodeo method. Our rangers dive from the front of a moving boat to catch a turtle on the fly. However, please be aware that TDA rangers only conduct these activities during regular monitoring sessions and not on demand. Over use of this method is not desirable as it can disturb feeding turtles. If your visit coincides with a turtle count or rodeo you will be informed by your guide, please do not request this activity as local staff find it uncomfortable to refuse. Accompany the Tetepare Rangers as they patrol around the island and monitor resource use by local harvesters. Rangers record the number and size of fish, trochus, beche-de-mer, bush materials and clams that are harvested in designated harvest areas. This is a great opportunity to see first-hand the conservation work on the island and your contribution to fuel costs greatly assists rangers with their patrols. Take a moonlight walk with your guide to see the world's largest land-based arthropod. Tetepare is home to healthy populations of large coconut crabs - a species which has died out in many parts of the Pacific. This is an experience not to be missed by wildlife-lovers. We will tempt these enormous but shy creatures out of their hiding spots using their favourite food - coconuts. Bring a torch and your camera. Take a night time walk through the rainforest with your guide to hear the forest's rich night chorus of humming insects and calling frogs. Be on the lookout for some of Tetepare’s unique amphibians, including the horned frog and the giant frog, as well as coconut crabs and other nocturnal animals. Bring a torch, walking shoes and your camera. An easy stroll around the Tetepare Ecolodge and Field Station is likely to reward the visitor with sightings of our charismatic megapode birds - famous for their large feet and their unusual habit of laying eggs in warm beach sand or mounds of rotting leaf-litter. Explore the lagoon in a dugout canoe, paddling across the tranquil waters, watching fish and turtles glide beneath you. Watch the sunset over neighbouring Rendova Island as you paddle across the palm-fringed lagoon in the golden late-afternoon light. Enjoy a picnic lunch on one of the many beaches around Tetepare Island. Tiny Sarumana Island on Tetepare's north-east coast is one of our most popular picnic spots, and is also a great place for a swim or a snorkel. A boat trip around Tetepare is a great way to appreciate the sheer size or this lush, rugged island. Circumnavigate the island, stopping for a picnic lunch and a swim, visiting one of the many abandoned village sites on the island, keeping an eye out for one of the big pod of dolphins who live in Vasara Bay and off Kaife Beach. This is just one of the many boat trips available on Tetepare Island. The turquoise lagoon of Tetepare Island is a superb place for a refreshing swim. The lagoon is sheltered, and ideal for swimming or snorkelling. Take a dip off the jetty and you will find yourself surrounded by an extraordinary number and variety of reef fish. 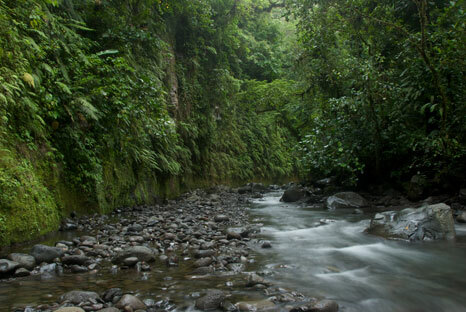 Hike through the jungle to find the remnants of abandoned village sites from head hunting days. Learn about Tetepare's mysterious past as you explore these sites which archaeologists are still visiting to piece together the unique history of Tetepare's lost civilisation. Visit one of the local villages on neighbouring Rendova Island, to gain an insight into Solomon Islands village life. The talented carvers and artisans of these villages will be happy to show you their skills during your visit. Many of the people in these communities are Tetepare descendants and long-time supporters of the Tetepare conservation project. We can arrange day trips or longer stays to villages on Rendova Island. During leatherback nesting and hatching season from October to March, a village stay in Baniata village on Rendova's weathercoast brings with it a chance of seeing a critically endangered leatherback turtle nest on the village's long black sand beach, or tiny hatchlings making their way to the sea. A visit to Baniata village during leatherback nesting and hatching season helps to support our leatherback conservation program in the village, where local people are working to help conserve leatherbacks by protecting nests, hatchlings and nesting mother turtles. Take a stroll through the rainforest with a guide and learn about traditional medicinal plants encountered along the trail. © 2012 Tetepare. All rights reserved.